Grange Road is a small residential road in Henley. 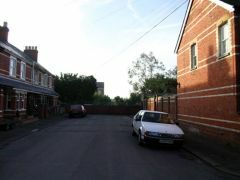 Grange Road taken from its junction with Marmion Road. 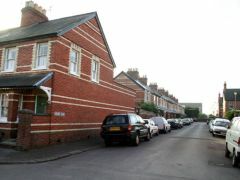 Residential housing at the end of Grange Road. 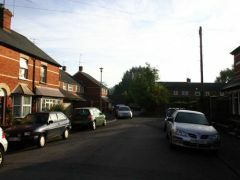 Cars parked on both sides of Grange Road alongside residential housing.